Keeping your wealth protected is an important part of the estate planning process. Many people also sit down with their estate planning attorney to discuss asset protection planning strategies. Working so hard to create your wealth and then outlining a plan for it to be passed on to future generations are important but not without also considering the possibility of losses and risks to your assets. · Losses associated with Medicaid estate recovery. Some of your assets will have protections over the course of your life so that you are still eligible to receive Medicaid benefits, but states can use a process known as Medicaid estate recovery. Make sure you talk to your lawyer about whether this will affect you. · Nursing home care cost losses. In many cases, nursing home care will not be covered by private health insurance policies or Medicare. This means that you could have substantial losses to your savings through having to pay for a nursing home for you or a spouse. · Losses due to claims filed against the business. If you own a company, personal assets become vulnerable unless the business is appropriately structured. 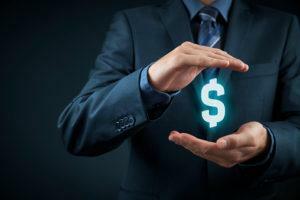 Consider incorporating the business to protect personal assets. · Losses due to creditor claims or divorce. Putting together an irrevocable trust could help to protect wealth in the event that creditors make claims against you so that you won’t lose property that you have set aside to pass on to heirs.